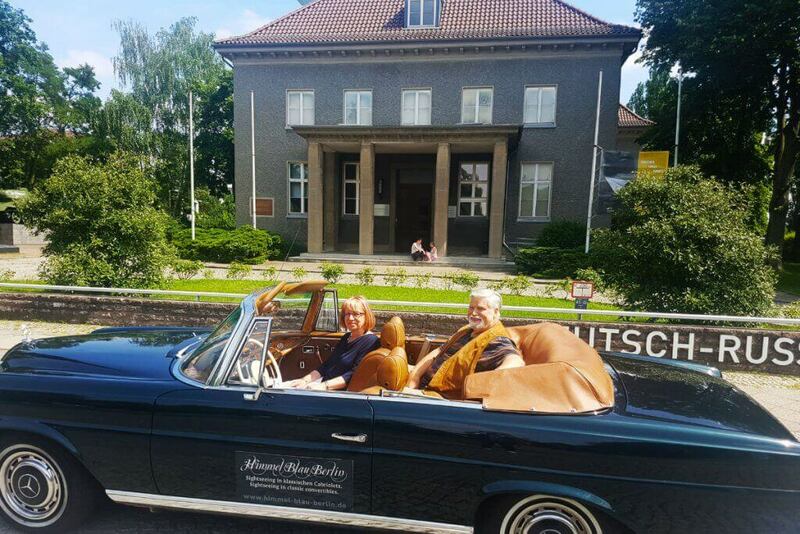 City Sightseeing tour Berlin East - comfortable in a classic convertible! We shall drive you along the illustrious Allee der Kosmonauten through Marzahn and its previously depressing apartment blocks, which are today sporting appealing, colourful facades. At the Bernauer Straße, the history of Berlin’s wall again comes very much to life! Indeed, one of the last watchtowers in Berlin’s city centre strongly underlines this.